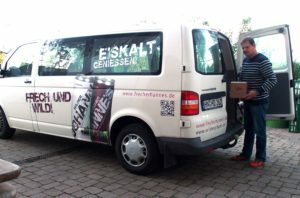 “Cassismanufaktur” is the name that Heiko Danner has chosen for marketing blackcurrant based products. A small, but lovely and profitable business for his self-grown blackcurrants. 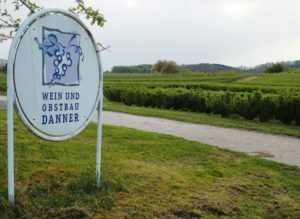 Heiko Danner is a wine growing engineer. 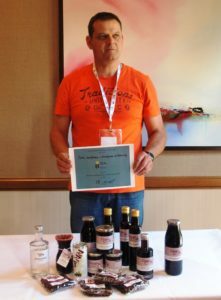 He grows wine grapes and has made his own wines for 14 years. 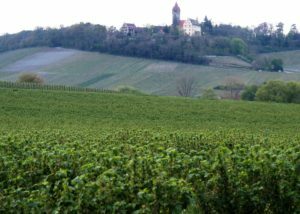 He had taken over his father’s farm, where wine-growing had always been part of the farming business. His ancestors had distilling rights and had always produced fruit spirits. At first, Heiko simply continued the tradition. But then, he turned towards blackcurrants. 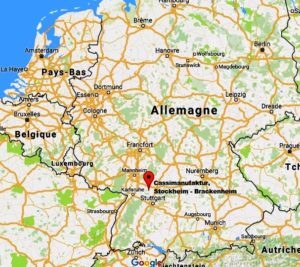 In Stockheim, close to Heilbronn in Southern Germany, the fields are rather small and not very good for growing wheat or the like. But the soil is good for grapes – and why not blackcurrants? This is what Heiko thought after some years of wine growing. When it comes to blackcurrant growing, many agricultural aspects are quite similar to wine growing. Soil, plant protection, machines, climate – but the harvest is at another moment of the year. Diversification from wine growing towards blackcurrant growing is therefore a natural development. 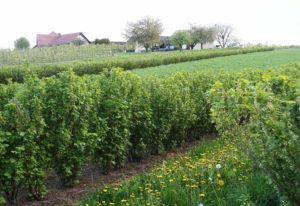 Heiko started growing blackcurrants in 1991. Out of the 100 hectares he works on, half of them are now dedicated to blackcurrants, 24 hectares are still planted with white and red wine grapes. 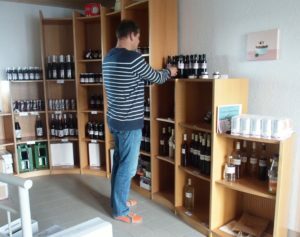 But he now sells them to a local cooperative and has stopped wine making. His passion has turned towards the small black power pearls. It has become a real passion: he collects and examines the behaviour of all kinds of blackcurrant varieties from all over the world on his land. He also tries to grow organically on one hectare – just for fun. Or to be able to develop future projects. 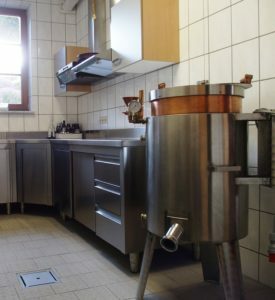 Yet, for the moment, Heiko concentrates on the production of blackcurrant based soft and alcoholic drinks, sweets, condiments and jams. 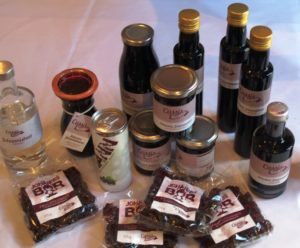 He launched his “Cassismanufaktur” in 2013 and has now, only four years later, a range of 20 blackcurrant based products. For facing the time-consuming production and marketing, together with the traditional farming, he needed to employ. 4 to 8 seasonal workers help him all over the year. One person is dedicated to manufacturing the products in the specially arranged basement of Heiko’s house. On the ground floor, there is a small shop and office room. But the biggest share of the commercialization is, of course, not the shop on his own farm. Indeed, Heiko does not produce the whole range of products himself. 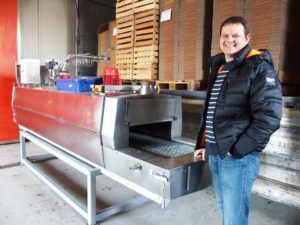 He has partners all around the region: a soapmaker for his blackcurrant soap, a vinegar manufacturer for his blackcurrant balsamico vinegar, and several more. Heiko trusts on relations. A friend of his is taking care of his logo, the design of his stickers, as well as his website. Therefore, Heiko can concentrate on the commercialization of his products in regional and national trade fairs. He attends around 10 of them every year. Moreover, trade fairs are an excellent occasion to find new ideas, new producers, and new markets. “I now sell my products even on an international level. This is not my main business, of course. But it shows that we are growing”, smiles Heiko. Today, Heiko is sure of one thing: looking at the development of the blackcurrant market in Europe, he could not survive by selling his blackcurrants to the local fruit cooperative. The prices for blackcurrants are too low. But the demand for authentic or fancy products is growing, and his “Cassismanufaktur” has a role to play in this market.